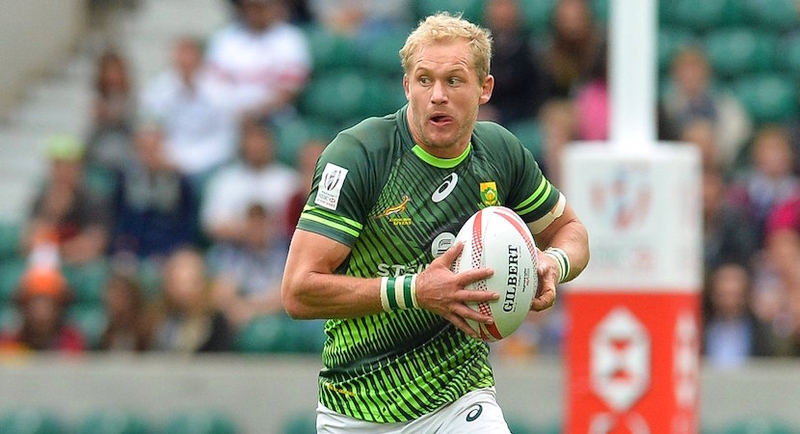 The experienced Philip Snyman is back from injury and will yet again spearhead the Springbok Sevens’ effort next weekend in Las Vegas when they contest round five of the HSBC World Rugby Sevens Series. Snyman, one of only six South Africans to play in 50 HSBC World Rugby Sevens Series tournaments, missed the previous tournament in Hamilton, New Zealand earlier this month due to a hamstring injury, but is ready for the trip to North America. Three other half centurions are also Nevada bound – Kyle Brown (62 tournaments), Branco du Preez (57) and Cecil Afrika (55) will provide the team with a backbone of experience in Las Vegas, where outside back Muller du Plessis could potentially make his Blitzbok debut. Du Plessis, a former SA Schools and SA Rugby Sevens Academy representative, joined the squad in Hamilton as a replacement player, but was unfortunately ruled out due to a knock sustained in training before the tournament kicked off. The 18-year-old will become Blitzbok #168 if he is called into the starting 12. Springbok Sevens coach Neil Powell made a total of six changes to the team that played in the final in New Zealand. Four of those are due to Vodacom Super Rugby commitments, with Seabelo Senatla, Sikhumbuzo Notshe (DHL Stormers), Tim Agaba (Vodacom Bulls) and Kwagga Smith (Emirates Lions) all back with their respective franchises, while injuries to Justin Geduld (jaw) and Rosko Specman (hamstring) ruled them out of selection. Powell selected Selvyn Davids to fill the playmaker role left vacant by Geduld, while there is also a return to action for Ryan Oosthuizen and Siviwe Soyizwapi named Ruhan Nel for the trip. Nel also missed out on Hamilton due to injury, but is now ready to play in the USA tournament. Davids and Oosthuizen will be in action for the first time in the current series, after making their Blitzbok debuts in the 2016/17 season, in which South Africa claimed overall honours. Soyizwapi picked up a knee injury at the HSBC Cape Town Sevens in December and missed the trip to Australasia. “We were disrupted a bit with injuries during our last trip, but I am pleased that most of the players recovered and responded well in training,” said Powell. “We are lucky in that we could plan for the absence of the four players who have returned to their Vodacom Super Rugby franchises before the Vegas trip, tapping into our squad depth. The Blitzboks face Wales, Canada and England in Pool B in Las Vegas. They depart for the USA on Saturday.